Review When Asus sent the N550 to Vulture Central, I sent it back: the wrong model had been dispatched. Having seen so many tiresome comments following El Reg laptop reviews along the lines of “when I saw it was only 1366 x 768 I stopped reading”, I wasn’t going to proceed with this spec - and with more than these moans as justification. 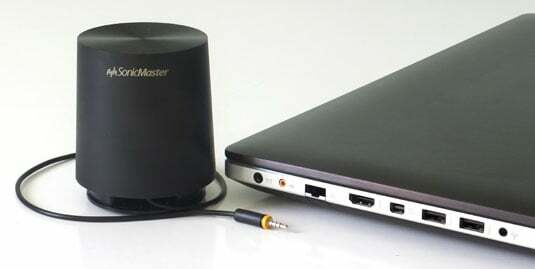 After all, given the N-series comes equipped with B&O Icepower amplification together with SonicMaster (a tea mug sized external bass driver), having anything less than full-HD would seem to undermine the thinking behind the latest refresh for this entertainment-centric 15.6in laptop. So, lucky for me – and for those who might be persuaded to keep reading – I find myself typing this on the full HD 1920 x 1080-pixel model I’d requested. It’s an Asus N550JV-CM067H equipped with the latest Haswell chip, a 2.4GHz quad-core Intel Core i7-4700HQ with 8GB of RAM and Intel HD 4600 integrated graphics. There’s also an Nvidia GeForce 750M GPU on-board with 2GB of RAM and a 1TB 5400RPM HGST Travelstar HDD. Surprisingly, there’s no solid-state drive (SSD) cache to boost disk performance. The N550JV was dispatched with the 1TB drive split into OS and data partitions with formatted sizes of 372GB and 537GB respectively. This arrangement slightly simplifies file clutter: just rummage around the data partition for that movie or installer, it’ll be in there somewhere. And talking of data-juggling, the N550JV comes with a BD-ROM optical drive and a bundle of playback apps including Waves Maxx to make the most of its audio, and AsusDVD (a rebranded version of Cyberlink’s PowerDVD 10) to get those Blu-ray discs that we’ve all got so many of spinning away in a useful manner. Needless to say, having four internal speakers developed in collaboration with B&O and an optical drive plus a 15.6in 1920 x 1080-pixel touchscreen encased in a brushed metal lid, all adds to the weight. At 2.6kg and measuring up at 383 x 255 x 27mm, we’re looking at a desktop replacement really, especially with that SonicMaster external bass driver in tow. I get the impression that the cable for what is described as a sub-woofer (just how low it goes isn't quoted) is kept deliberately short at about 40cm (16in). It also features a rather antisocial 2.5mm multi-pole mini-jack, which is going to be a tough find if the connector fails or you fancied adding an extension lead. 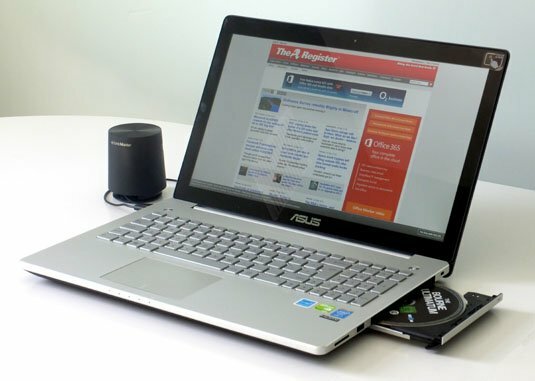 My guess is that Asus knows that having the SonicMaster bass booster too far from the built-in speakers will greatly diminish the overall effect of this combination, and it doesn't want that to become obvious. It all needs to be kept in close proximity to keep the sound warm and cosy. For the most part, this is all well and good. Testing with The Bourne Ultimatum Blu-ray disc, the SonicMaster driver delivers all those menacing bass note drones and rumbles that accompany action flicks, sounds that disappear as soon as the unit is unplugged. 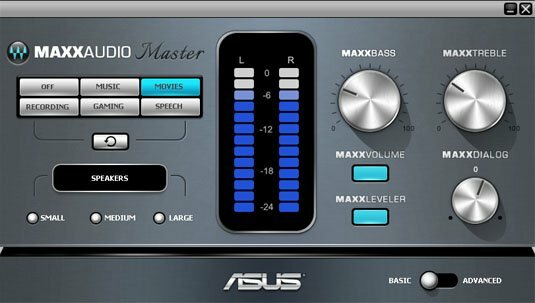 It warms up voices too and the Waves Maxx Audio Master processing provides some useful controls if you tinker around with the advanced settings. Next page: Does it blend?